Tbx3 (green) plays a crucial role for the function and maintenance of satiety neurons in the brain. Credit: modified from Quarta, C.
Obesity − as research in the past decade has shown − is first and foremost a brain disease. Researchers at Helmholtz Zentrum München, partners in the German Center for Diabetes Research, have now discovered a molecular switch that controls the function of satiety neurons and therefore body weight. The findings were published in the journal Nature Metabolism. 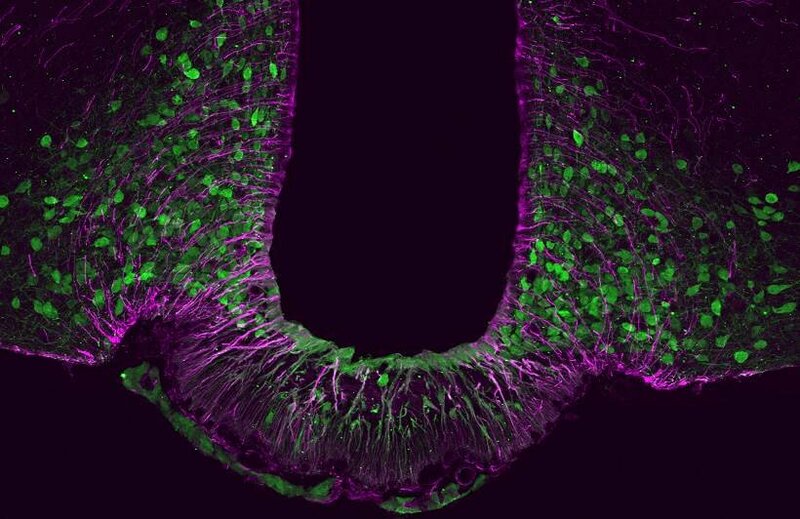 "Whether we're hungry or feel full is largely determined in the brain – specifically in the hypothalamus," explains IDO scientist Dr. Alexandre Fisette, together with Dr. Carmelo Quarta lead co-authors of the aforementioned paper. "Two groups of neurons in the hypothalamus control body weight and energy balance via various molecular messengers. Like yin and yang, they help strike a good balance." While neurons known as Agrp increase appetite, their counterparts, Pomc neurons, produce a sensation of satiety. However, if the interplay between the two is disturbed, the result can be obesity or type 2 diabetes. "In our recent study we discovered that a transcription factor called Tbx3 plays a key role in this mechanism," says Carmelo Quarta, describing the new findings. "Specifically, in the absence of Tbx3, the neurons responsible for producing a feeling of satiety are no longer able to synthesize the expected molecular messengers." Applying a broad range of techniques, the scientists were then able to show that Tbx3 plays a pivotal role in maintaining energy and sugar metabolism. "Both in a preclinical model and in fruit flies, the absence of Tbx3 leads to a kind of identity crisis of satiety neurons, resulting in obesity," says Alexandre Fisette. 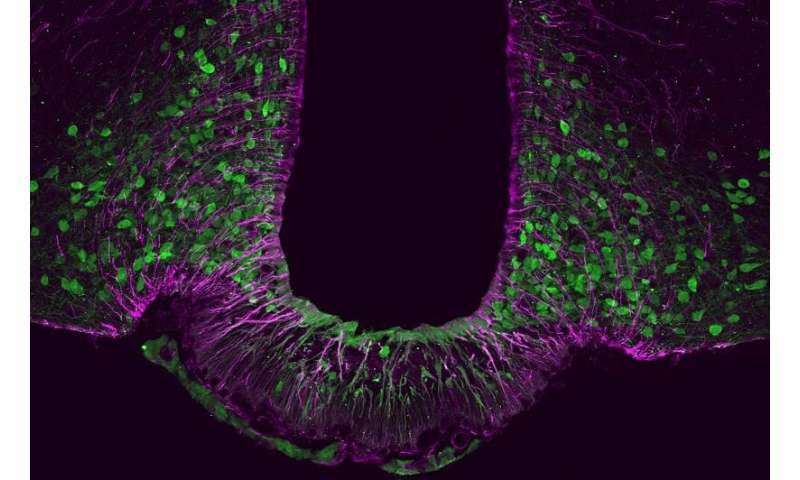 The same signaling pathways also appear to be present in humans: "In preliminary experiments with human neurons, we were able to show that they are no longer able to carry out their function in the absence of Tbx3," Carmelo Quarta adds. "Humans with genetic defects in the Tbx3 gene have long been reported to suffer from obesity," explains study director Prof. Dr. Dr. h.c. Matthias H. Tschöp, CEO of Helmholtz Zentrum München and holder of the Chair for Metabolic Diseases at the Technical University of Munich. "Our study explains for the first time the underlying mechanisms and once again focuses attention on the central role of the brain in regulating energy metabolism. We hope that Tbx3 may come into consideration one day as a target for drug therapies."